More than half of the earth’s surface is covered by the deep sea, but only one percent of this area has been charted so far. For the deep sea is an inhospitable place: its depths are perpetually cold and dark. This poses a major challenge for oceanographers. Because of the hostile conditions for humans, manned dives into the deep sea are extremely dangerous and costly. Information about the deep sea is thus mostly obtained by remote-controlled diving robots that are connected to a research vessel by cable, such as the MARUM-QUEST. The so-called Remotely Operated Vehicle (ROV) can dive up to 4000 meters deep and is equipped with HD cameras. The ROV sends videos from the deep sea to the control container on the research ship by glass fiber cable. 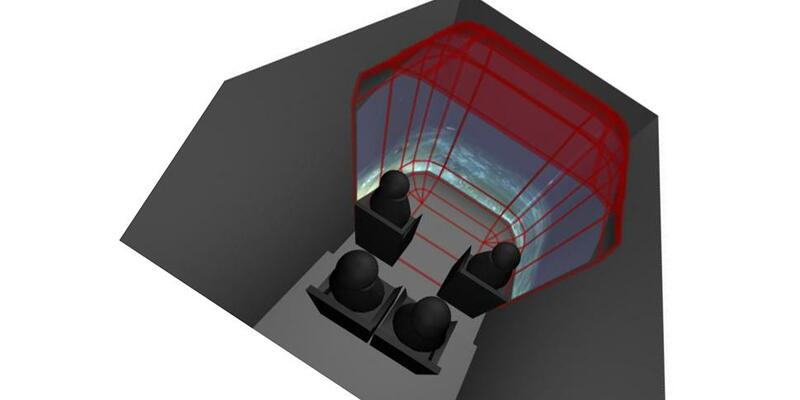 Fraunhofer FOKUS supports the Center for Marine Environmental Sciences (Zentrum für Marine Umweltwissenschaften MARUM) at the Universität Bremen with the development of a telepresence system for the ship’s control container. It consists of an upright dome projection with a horizontal and vertical angle of 180°. 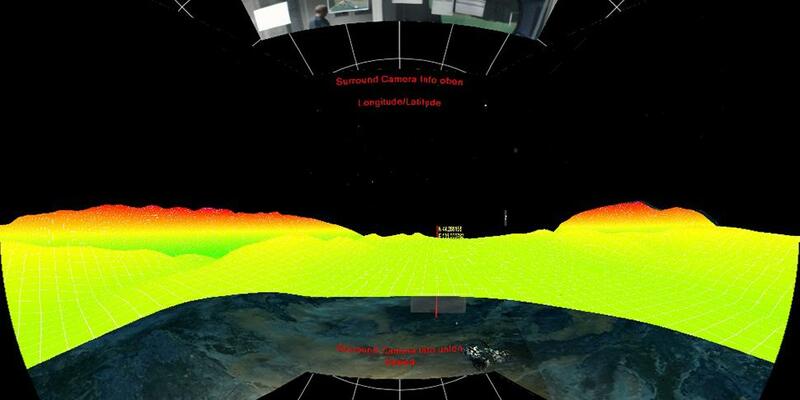 The automatic calibration software by Fraunhofer FOKUS ensures that the individual live images recorded by the diving robot are visible on the screen with pixel precision, so that the researchers in the control container have a view similar to the one from a submarine. The projection is enriched with precisely localized GIS, sonar and other measurement data. One advantage of the telepresence system is that it improves the diving robot’s navigation. 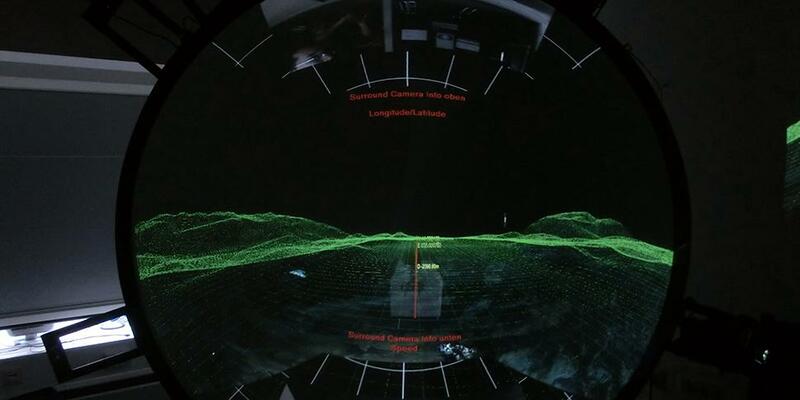 For the researchers, the dome projection allows for a larger visual field. Utilizing the additional precisely localized measurement data, interesting spots, such as hydrothermal sources on the ocean floor, can be (re-) discovered more easily. For this project, Fraunhofer FOKUS adapts its automatic calibration software to underwater conditions and implements the augmented reality functions.